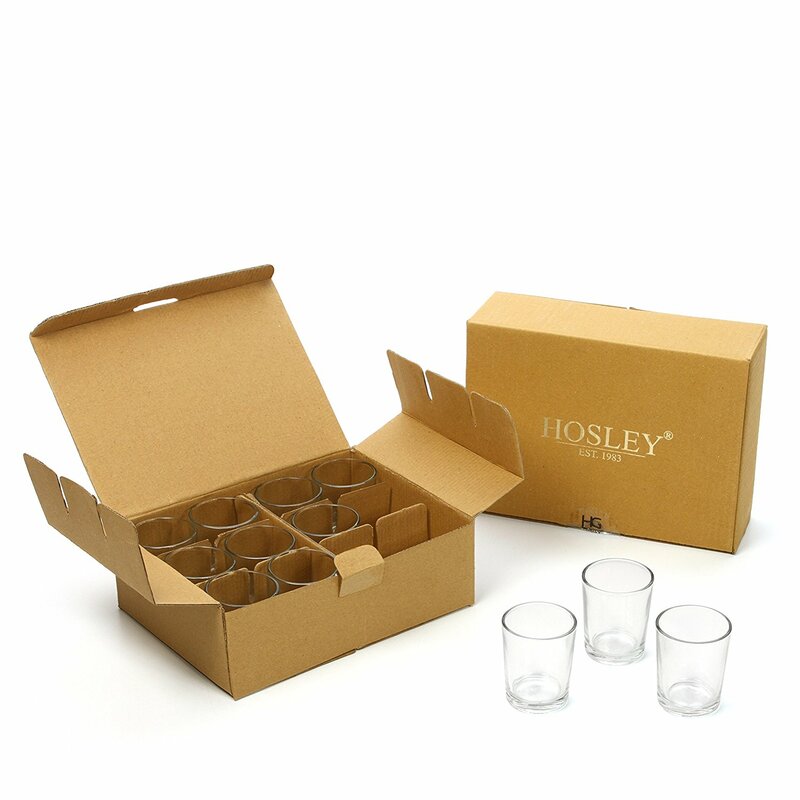 PRODUCT: Hosley&#39;s Crystal Clear Glass Votive / Tea Light Holders USES: They&#39;re just the right gift for a wedding and can be used for a party, reiki, spa. BENEFITS: They can accent your home or office for the right decor. Perfect for adding a decorative touch to any room&#39;s decor. MEASUREMENTS/MATERIAL: Each one measures 2.1 inches L x 2.1 inches W x 2.5 inches H and made of 100% glass. HOSLEY BRAND PRODUCTS: Hosley? brand products are made from quality raw materials with minimal wastage at every step of production. With the goal of achieving a neutral carbon footprint, please recycle and help leave Mother Earth better off for future generations.